It's an exciting time in computing. Now more than ever, you have so many choices when it comes to software, hardware and services. With Chromebooks, people tell us they love its ease-of-use, speed and security, and also enjoy having options when it comes to shape, size and price. So today we’re happy to announce that our newest partner HP is introducing the latest addition to the Chromebook line—the HP Pavilion 14 Chromebook. This HP Chromebook is a great home companion that offers the built-in security, speed and simplicity you’d expect from a Chromebook on a brilliant 14” screen. Enjoy your favorite videos, photos and more in new detail, and with its versatile HDMI and USB ports, the HP Chromebook is easy to customize with peripherals. It’s less than an inch thick and powered by an Intel® Celeron® Processor, so you can work and play at full speed. With popular products like Gmail, Google+ Hangouts, YouTube and Maps built in, the best of Google is always at your fingertips. With the new HP Chromebook, you can also take advantage of 100GB of free storage on Google Drive*, making it easy to backup stuff in the cloud so that it can be accessed anywhere and from other devices. Starting today, the HP Chromebook will be available for $329.99 in the US at HPDirect.com and at other retailers soon. 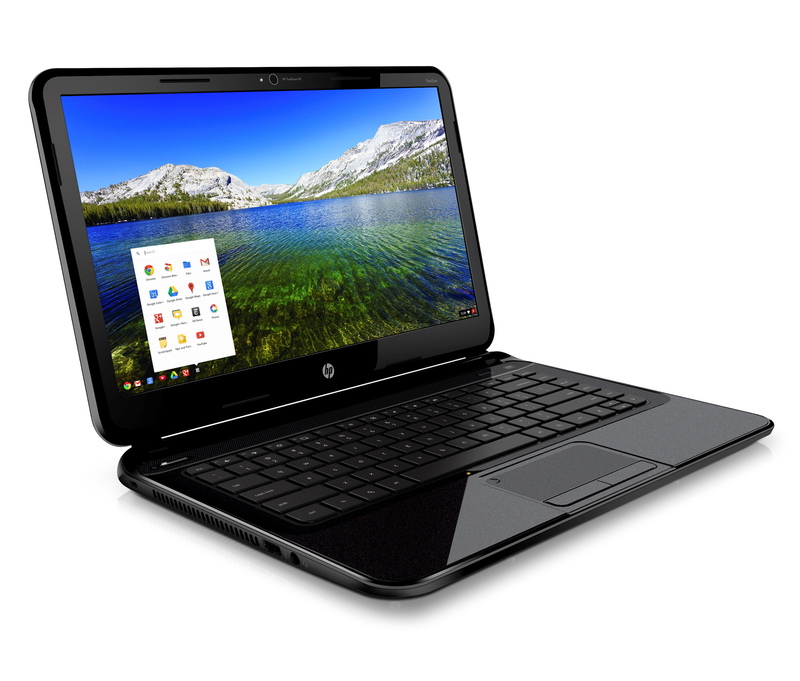 The HP Chromebook is a great new addition to the Chromebook family, and we hope you’ll enjoy it within yours, too. New Chromebooks, more options, for everyone.